For an already existing content, if it is updated, how can we indicate to Google that it has been revised? We have seen that in some cases Google picks on its own while in some cases the update is ignored and it crawls the story on its own frequency. Is there a rule around what proportion of the story should be updated for Google to realize that an update has occurred? There’s not a rule per se as to how much content needs to be updated, but you can use your common sense. If all you change is a few words or a date, or just add a picture for example, you aren’t really changing the content. People like to try to game this system by moving paragraphs around but not really changing the point of an article, for example. Google is wise to this and will not reward you for it. 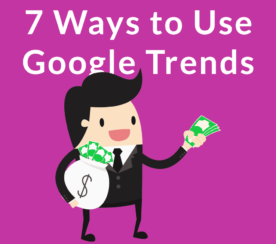 However, if you have an article like “5 Predictions for SEO in 2018” and you update it to be “5 Predictions for SEO in 2019” and actually change most of the content, there are ways to help Google find out about it more quickly. But before I share that, I want to be clear: the content needs to be different. You can’t just post the same five predictions you made in 2018 and put them in a different order. You can’t use four of the same five and just change one. That’s not going to fly. I use a real-world test. If I sent this article via email to my loyal followers, would they find value in it, or would I be irritating them by sending the same thing I previously sent? Google is likely to react similarly. 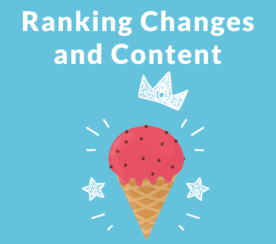 If your content changes pass that real-world test, the best thing you can do is go into Google Search Console and resubmit the sitemap that contains that page. Google will usually grab the new page in a couple of days. If you really need it to be indexed right away (like if it’s time-sensitive content), then often doing a Fetch as Google for the page in Search Console will get it crawled within hours. Don’t abuse that though – like anything else, if you submit all of your pages all of the time, you’ll dilute the importance of all of them. Remember, Google will generally trust you until you give them a reason not to. Safe or Risky SEO: How Dangerous Is It REALLY to Change Your Article Dates? Will Google Penalize Duplicate Content in Reviews?